The bone-chilling temperatures may have subsided, and mercifully so. 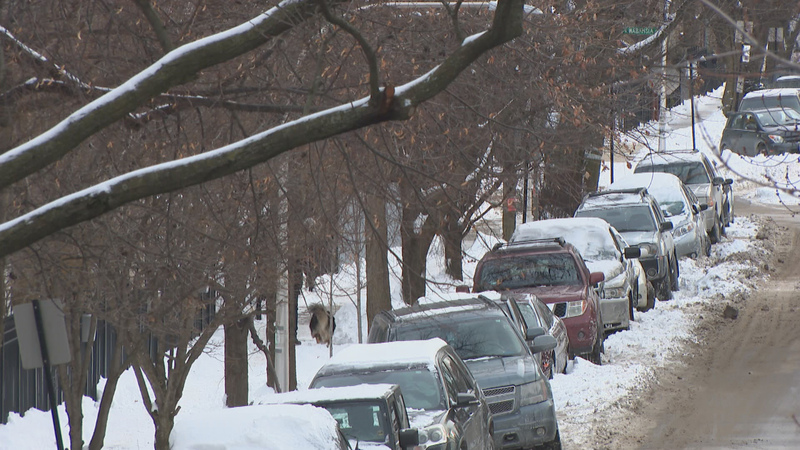 Residents appear to have heeded warnings heading into the so-called polar vortex. According to the Cook County Medical Examiner’s office on Thursday afternoon, there have been no confirmed cold-related deaths in the county since Monday; cold was a complicating factor in an Evanston man’s death on Monday – the 20th of the season. That doesn’t mean Chicago is out of the woods, Mayor Rahm Emanuel warned Thursday. Snow that’s coming at the tail end of the subzero spell could make way for icy roads. “The recent snow and cold has increased the possibility of ice beneath snow, and I just want to warn motorists and pedestrians to be aware of that. It’s a dangerous condition,” Streets and Sanitation Commissioner John Tully said. He says plows are ready, and the city has beet-juice treated salt ready to spread; you can track the city’s snow-clearing fleet online. Experts had recommended leaving faucets dripping to prevent them from freezing. While the city is no longer frozen, you still want to pay attention to your home’s water pipes, Water Department Commissioner Randy Conner said. That could prove expensive; water rates increased again at the start of 2019 as part of a multi-pronged tax hike to pay for municipal employee pensions. At least one plumber called Conner’s advice “ridiculous,” saying that there’s no need to let faucets drip if a home is well-heated and the walls well-insulated, particularly once it warms up – as is expected this weekend. That weather whiplash could cause another problem: flooding. The Metropolitan Water Reclamation District warns that frozen ground can’t absorb water and snow, so runoff will immediately flow into sewers … sewers which may well be blocked by ice. Hopefully, folks got lots of chores like laundry and the dishes done while they were holed up inside Wednesday and Thursday. The best way to prevent putting further stress on sewer systems is by reducing water use. So, try to not use the dishwasher, washing machine and even keep showers quick. Also, the MWRD suggests making sure drains are clear of snow drifts and that gutters are cleared.